What is a land installment contract? A land installment contract (also known as a land contract, a contract for deed or an installment sale agreement) is a contract between a seller and a buyer regarding real property in which the seller provides financing to the buyer at an agreed-upon price and other terms, and the buyer makes payments in regular installments. Under such contracts the seller retains title to the property until payment is full is received, but the buyer takes possession of the property. Why use a land contract? Purchase price of the real property is so low that the costs associated with conventional financing doesn’t make sense. What provisions must be included in a land contract? 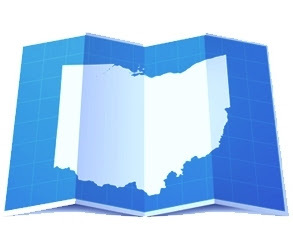 Land installment contracts are subject to Chapter 5313 of the Ohio Revised Code. Section 5313.02 requires that every land contract must be executed in duplicate with each of buyer and seller receiving an original copy. Section 5313.02 also lists a minimum of 16 provisions that must be included in a land installment contract. Besides the obvious inclusion of the identity of the parties, a legal description of the property and all of the economic terms, the contract must (i) disclose any encumbrances on the property, such as a current mortgage lien, and any pending order of a public agency against the property, (ii) require the seller to record a copy of the contract, and (iii) unless the buyer and seller expressly agree otherwise, require the buyer to pay the taxes, assessments and other charges assessed against the property from the date of the contract. What are limitations or responsibilities are placed on a seller? A seller cannot hold a mortgage on the property that exceeds the purchase price under the installment contract unless the mortgage covers more property than that sold to the buyer under the contract. If the latter is the case, the seller must disclose to the seller the amount of that mortgage and the release price, if any, that is attributable to the property that is subject to the contract. Within 20 days after a land installment contract has been signed by the buyer and seller, the seller must cause a copy of the contract to be recorded and deliver a copy to the county auditor where the property is located. The installment contract must also conform to all legal formalities required by law for deeds and mortgages. At least once a year (or, on demand of the buyer, no more often than twice each year), a seller must furnish a statement to the buyer that shows the amount credited to principal and interest based on buyer’s payments during that year and the balance due under the contract. What happens if the buyer defaults? Section 5313.05 of the Revised Code provides that a buyer’s interest may be forfeited under the contract only after the expiration of a 30 day cure period. After expiration of this 30 day period a seller can proceed to serve a notice on the buyer as described in Section 5313.06. If a contract has been in effect less than 5 years, and a buyer has paid less than 20% of the purchase price, then, in addition to any other remedies permitted under the law, a seller may bring an action for forfeiture of buyer’s rights in the contract and request restitution of the property under Chapter 1923 of the Revised Code. However, if a contract has been in effect for 5 years or more, or a buyer has paid an amount equal to or greater than 20% of the total purchase price, then a seller may only recover possession of the property by initiating a foreclosure proceeding. Terminating the land contract by forfeiture or foreclosure is a seller’s only remedy, subject to limited exceptions when a buyer has paid less than the fair rental value plus deterioration or destruction of the property caused by seller. In such cases, a seller may also recover the difference between what seller paid on the contract and the fair rental value of the property plus an amount for the deterioration or destruction of the property causes by such seller’s use.